The latest trend in running events are “Color Runs” (or “Electric Runs” or “Water Runs”) which is great if it gets people out there! Generally an easy 5K course with tons of entertainment – on the course and after the race. I am assuming that most of the color runs are based loosely on the Hindu festival of Holi. I have done two color themed runs myself – Color Me Rad in April and Run or Dye this past weekend. And while they had tons in common they were very different feeling events. Both fun, for sure!! Both very colorful!! So I thought I’d compare them – I can’t really do a line by line comparison, well, maybe I can! 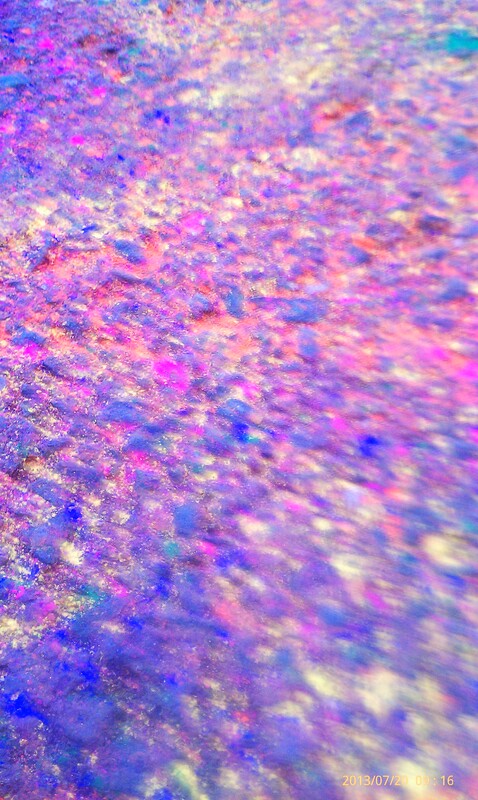 Even the ground gets in on the colorful action!! Color Me Rad – Registration included t-shirt, pack of color, a RAD tattoo and a pair of sunglasses. Packet pickup was easy cause I volunteered and picked up then! Run or Dye – white unisex cotton. Lots of people were wearing it to run in which I would probably do next time. Run or Dye – held in the same area as Color Me Rad, this race took more advantage of the grassy areas and gravel roads. This was fine with us, we ended up walking most of the race anyway! Color Me Rad – Had combinations of powder color and colored water – mildly enthusiastic colorers in some, overly enthusiastic colorers in others! 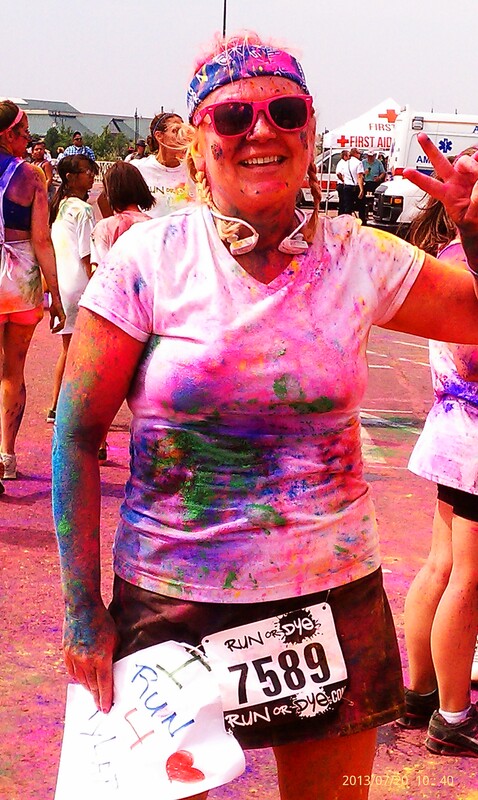 Run or Dye – All powder color and VERY enthusiastic colorers! The first color station was yellow — and the powder was at least 2 inches deep in the grass!! Color Me Rad – Bright colors, and they were pretty generous with tossing out extra packets at the start line and at the stage area. 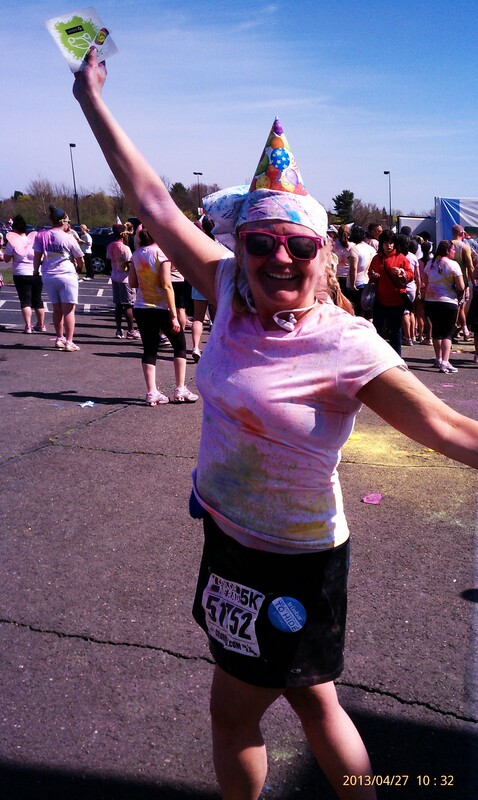 Run or Dye – GORGEOUS colors! 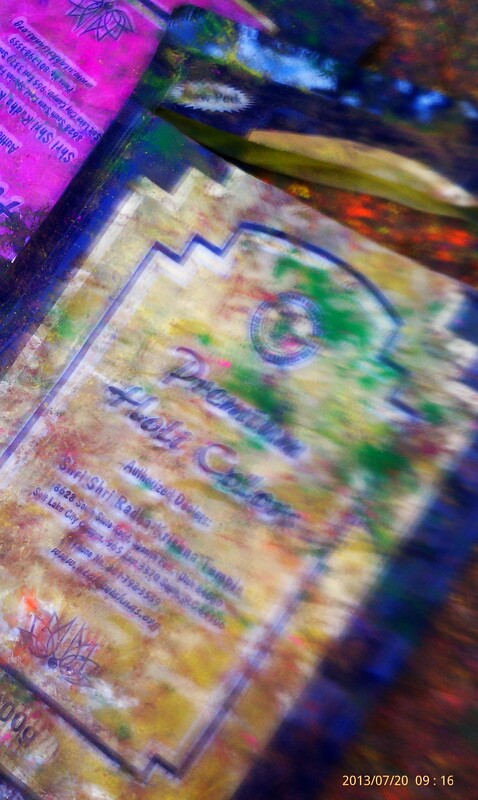 They used actual Holi powdered colors – slightly scented and Mega Bright!! Didn’t throw as many packets while waiting at start but everyone who caught them tossed them with abandon so there was no lack of color!! Though, Color Me Rad did have birthday cake as it was their First Anniversary! And we know I love me some cake! ← Things Get X-Treme on Thursdays in the Summer!